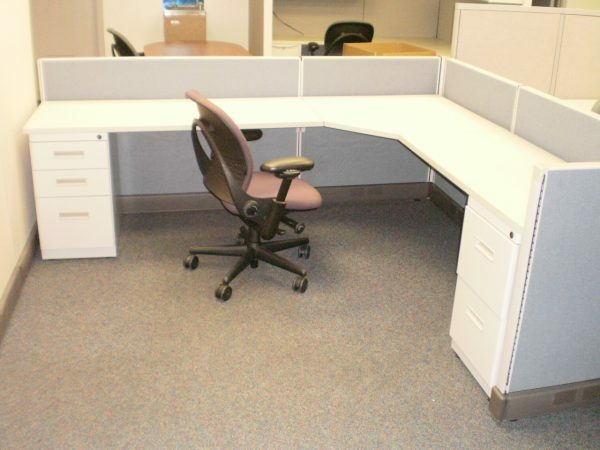 As-is Herman Miller AO2 stations with 39″ high low panels, each station has a 24×36 corner with a 24×48 and a 24×60 return worksurface. The station footprint is 7×8 but can be reconfigured into 6×7 or 7×6. Each station has a locking BBF and FF pedestal with power down spine. Good clean as-is product.